John plays guitar on the first two tracks. "Produced by John McCoy and Chris Blackwell for Decoy Productions". LP cover with embossed text; inner sleeve with hand written lyrics. Baseball Blues was also released as a 7 " single, with Smile Your Blues Away on the flipside. Island WIP 6133 (1972). Typical seventies album recorded autumn 1971. 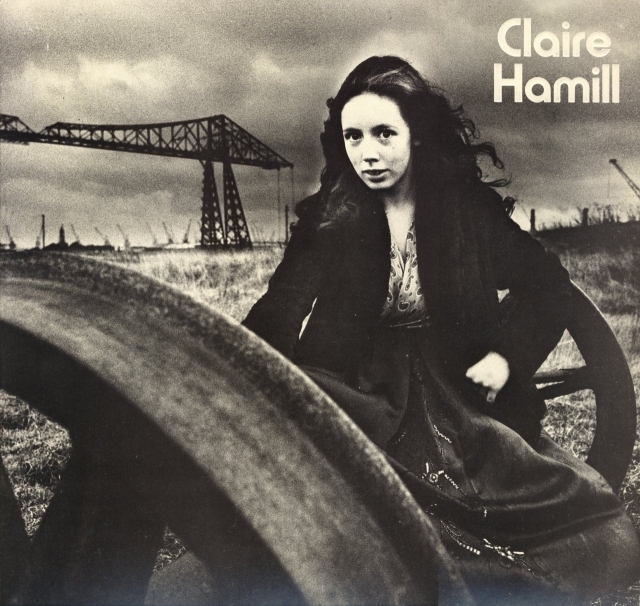 Claire Hamills voice sounds somewhere inbetween Joan Baez and Melanie. Bit pretentious arrangements but quite a good effort for a seventeen year old girl. The record carries 1971 als year of release but a more exact date is hard to pinpoint. My guess, based on catalogue number 9182, is it must have been late December 1971. ILPS 9180 (Traffics Low Spark Of High-Heeled Boys) was credited 1971 like One House Left Standing, but both ILPS 9181 (The Sutherland Brothers Band) and ILPS 9183 (Vinegar Joe) are credited 1972. ILPS 9182 A-1U and ILPS 9182 B-1U. Also encarved CH-1 and CH-2 respectively, and on both sides STERLING 2 LH.